Richard Desmond has appointed Barclays to advise on a possible sale of Channel 5. The process is said to be at an early stage with no potential buyers yet approached. The move follows Desmond taking “soundings” among rivals, including ITV, about the potential appetite to buy Channel 5 last spring. Desmond added Channel 5 to his Northern & Shell media empire, which includes the Express and Star national newspapers, in 2010 buying it from RTL for £103.5 million (€121m). 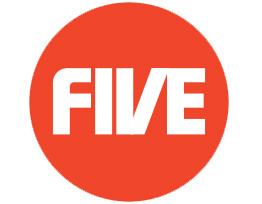 Heavy cost-cutting, rejuvenating Channel 5’s TV ad sales operation, and securing Big Brother have moved the business from a £48 million loss at the time of the acquisition to a £20.6 million profit in the six months to the end of August last year. This could potentially give the channel a worth of £500 – 700 million.